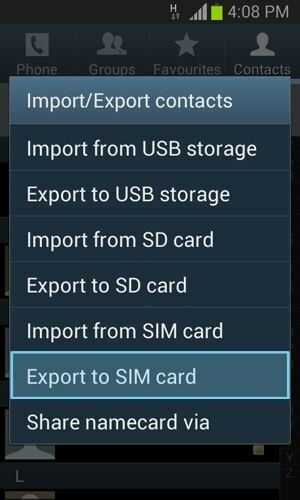 “Is there any safe way to transfer photos, videos, SMS, Contacts and other files from Symbian to Android?” The web is filled with solutions and questions about how one can transfer data from one phone to another. Some ask this because they have bought a new phone and want to get rid of the old device. 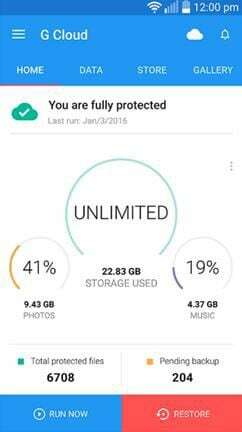 Some may want to know how to transfer from one device to another simply because they want their data all across the devices that they frequently use. However, the tragedy is that there may be only a few solutions that work for you. There are many tools and soft wares that let you copy all your data to another device but these methods have proved to be very time-consuming and hence inefficient. We will therefore look at one simple way by which you can transfer data from Symbian to Android. A number of soft wares are available in the market that let you transfer files between certain devices. However, these programs can be very frustrating to use. This is because most of the programs cannot transfer files in one go and may also take a considerable amount of time before the files are transferred. With iSkysoft Phone Transfer for Mac ( or iSkysoft Phone Transfer for Windows), you can overcome all such problems easily. The program is designed as such that it will enable you to transfer files simultaneously and in a very little amount of time. You can transfer videos, music, contacts etc. in just a click. 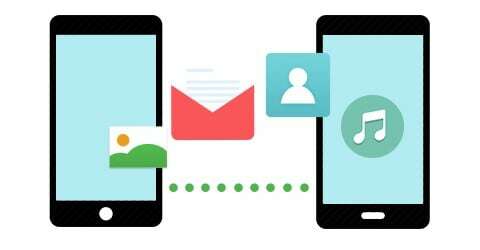 With iSkysoft Phone Transfer, it is all just a matter of click. The software is very easy to use. You can transfer all your videos, music, contacts, movies and much more in just a click. 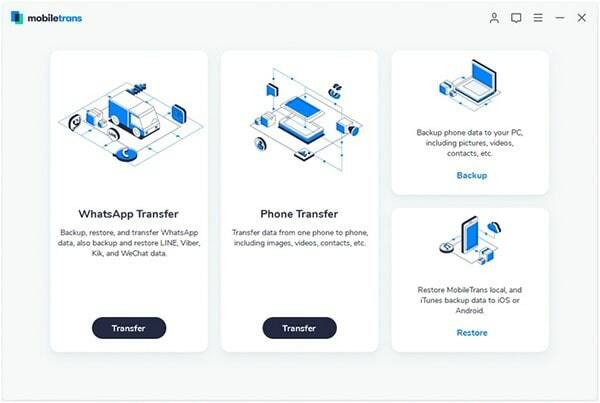 This phone to phone transfer tool makes you get away with this problem by having support for almost all platforms you can think of. 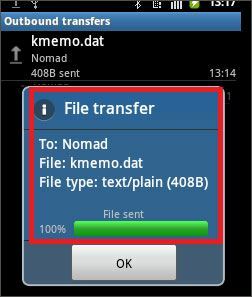 You can transfer files between Symbian and Android, Android and iOS, iOS and Nokia, BlackBerry and iOS, etc. 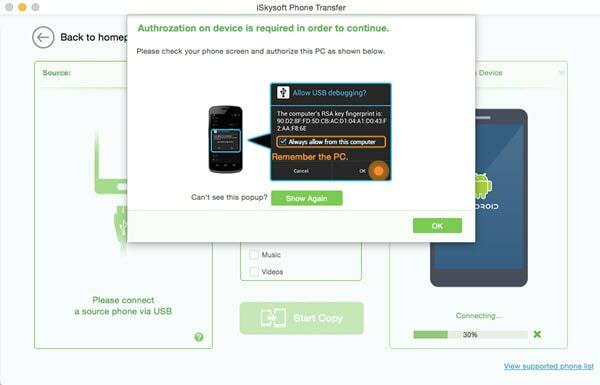 iSkysoft Phone Transfer can help you to back up the files. It is a program built not just for transferring files but also for helping you back-up your data easily and safely. 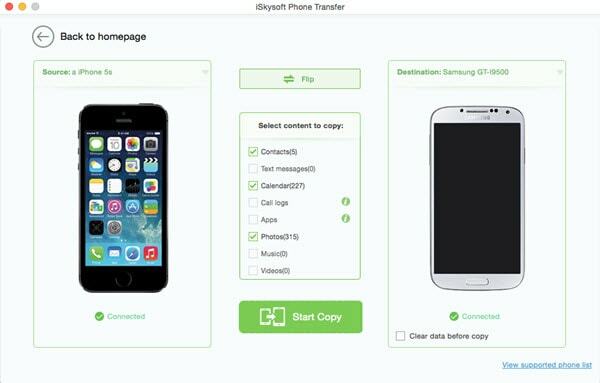 Launch iSkysoft Phone Transfer and click the “Phone to Phone Transfer” tab. Connect your Symbian and Android devices to the computer using USB cables. 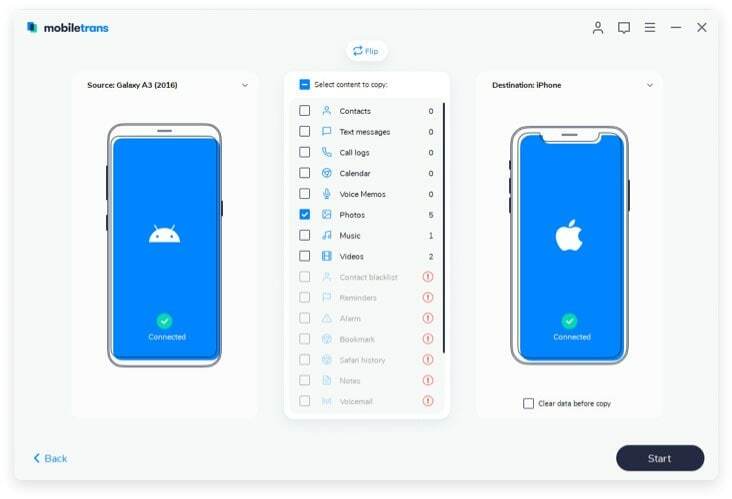 And then you will see that both of your devices displayed on the program’s interface along with the files on the source device. The last step is to select the files you want to transfer. After you have selected the files, click “Start Copy”. The program will start transferring Symbian data to Android.